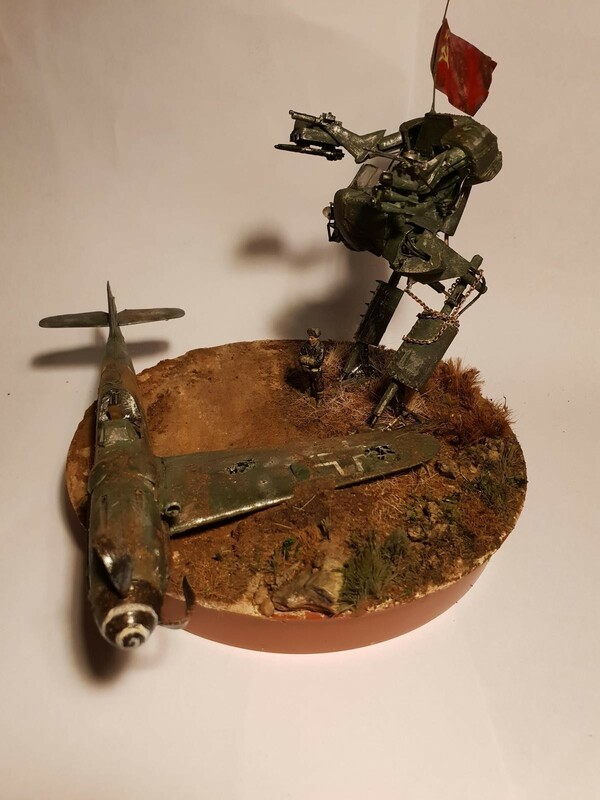 The first diorama I built after getting back into the hobby. 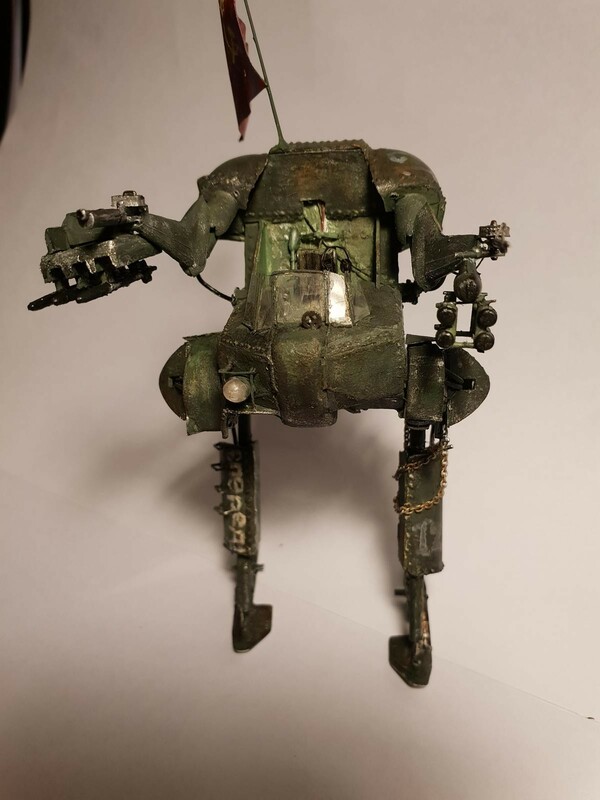 The mech is scratchbuilt and my first attempt at doing so. 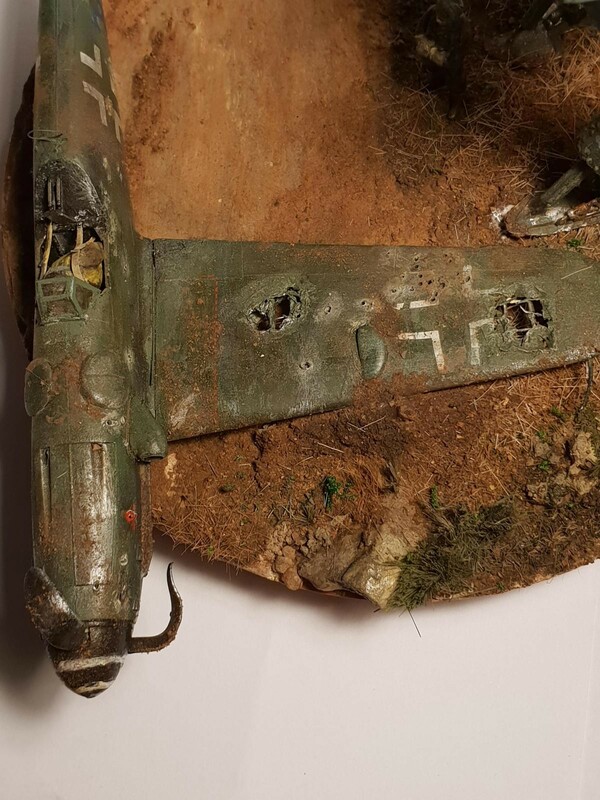 The Bf 109 is a kit which I built when I was very young so I restored the aircraft but in a crashed, “shot down” state. 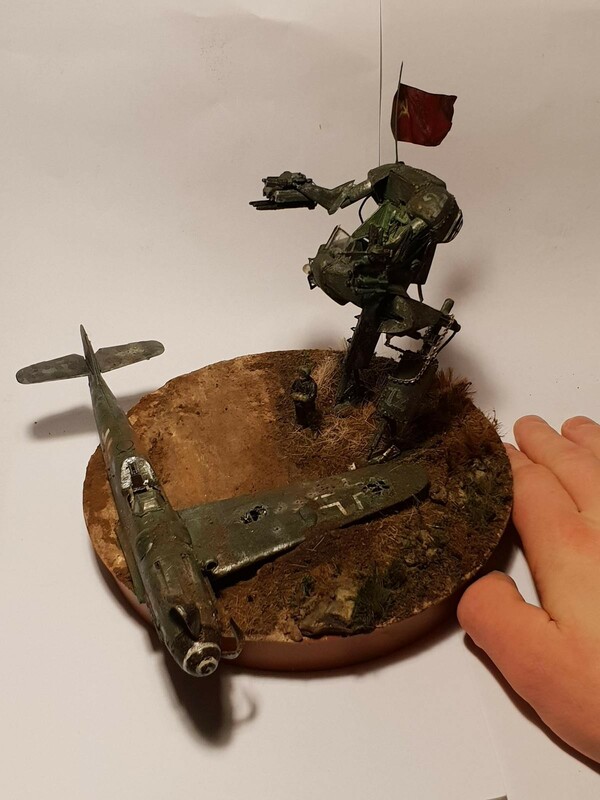 The diorama is in 1/48 scale and was a lot of fun to make! Let me know your feedback and opinions! 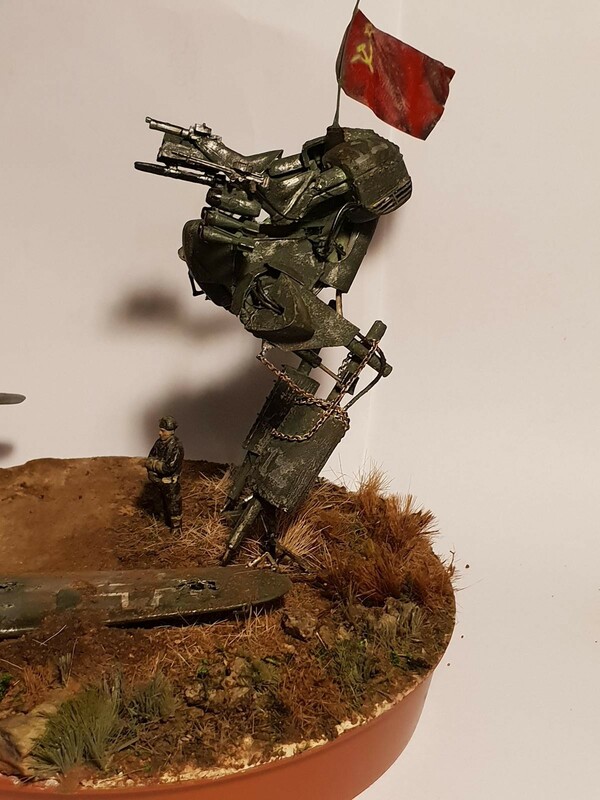 10 responses to ‘What if’ Soviet Mech Diorama! Awsome idea! 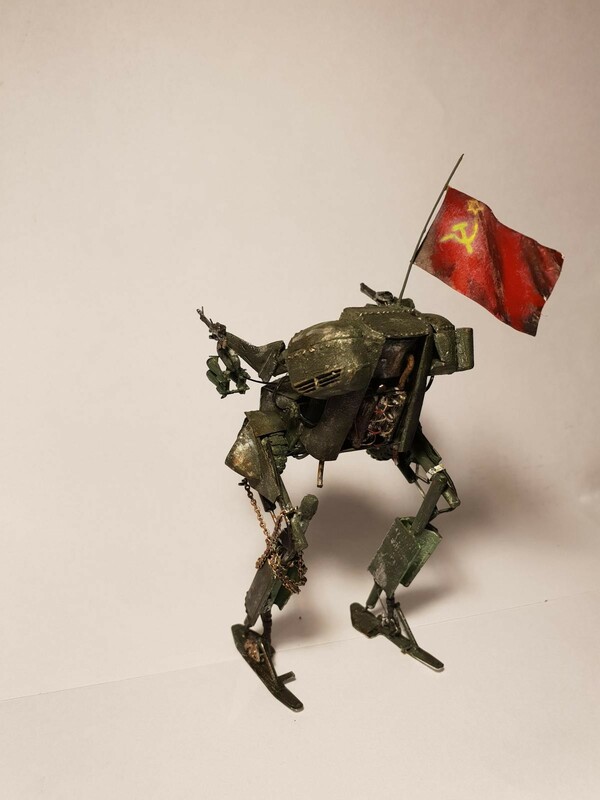 Really like the Soviet mecha tavarich. The russian word “rabota”, meaning work or labour is the source for the word robot. This looks like the mother of all robots. I LOVE every single thing about this build. 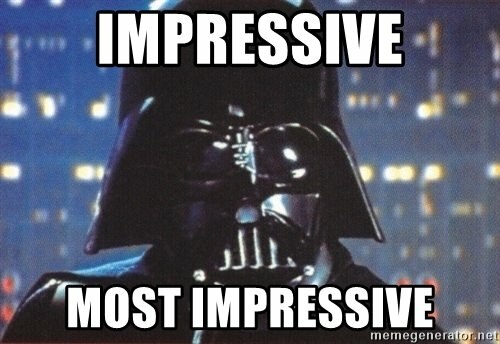 The idea, the design, the execution, artwork, and base. 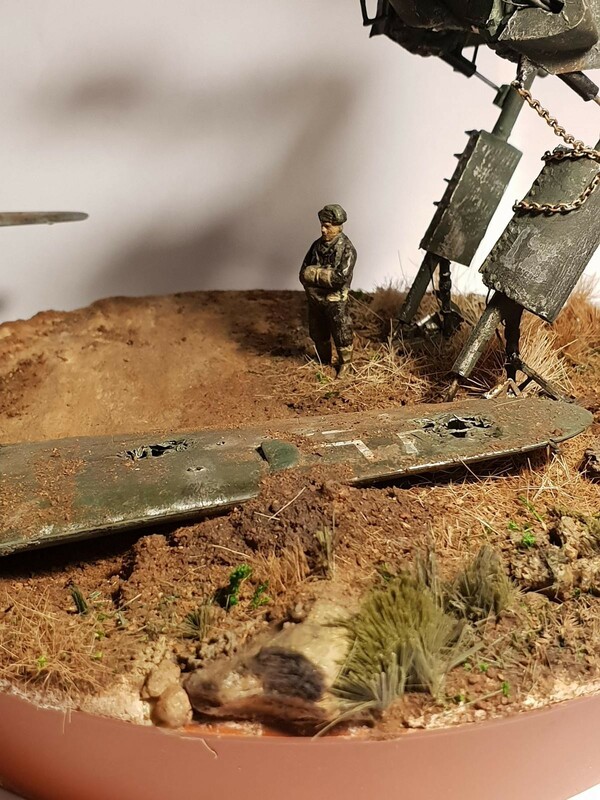 A quite brilliant piece of imaginative and skilfully done work. 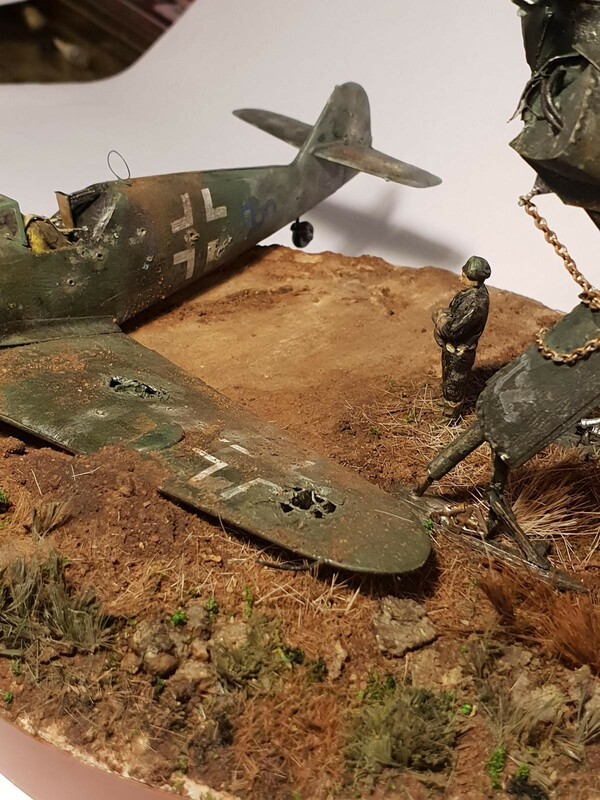 Given how adept you are at this you’d be a natural fit for the ‘iModeler at the Movies’ Group Build – pop over and see what you think – would love to see what you could do in that genre, Matthew. 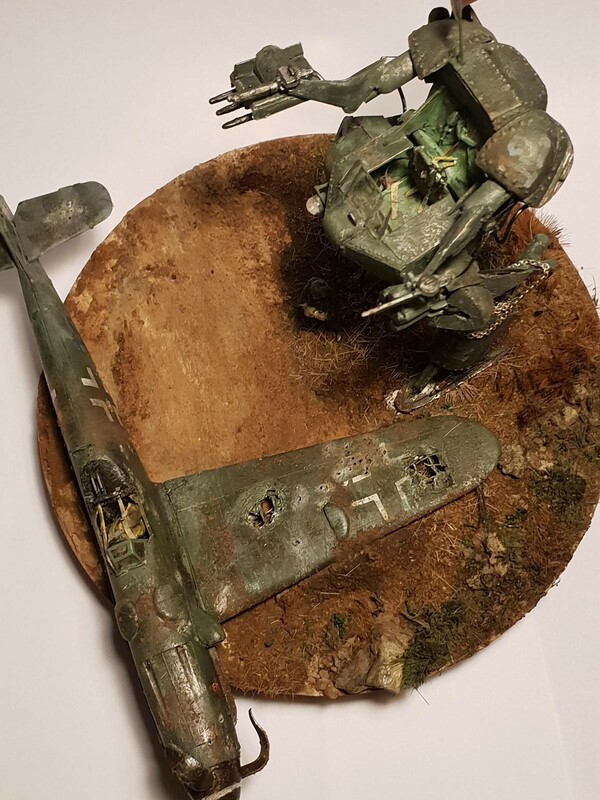 Imaginative, creative and downright weird. Looks like it’d do the job, though. Thank you very much! Don’t know what partnof my brain came up with such a thing!